Hey, you got your BioShock in my Team Fortress 2: These two series released within months of each other in 2007. Six years later, PC gamers with a BioShock Infinite season pass will get a bunch of special items inside TF2. 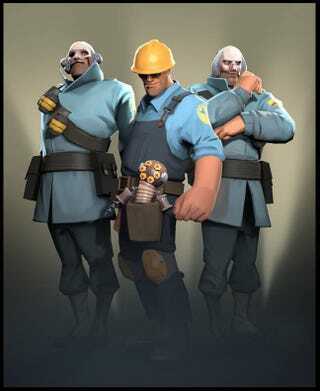 For example, that Big Daddy dolly in Engineer's belt. Two great tastes that go great together! Details here.